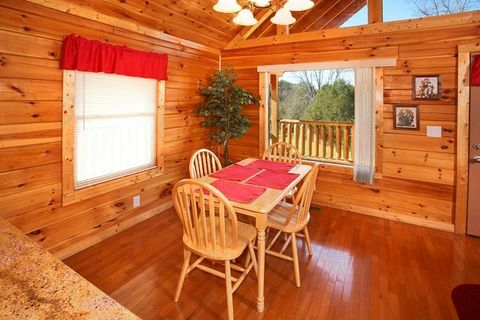 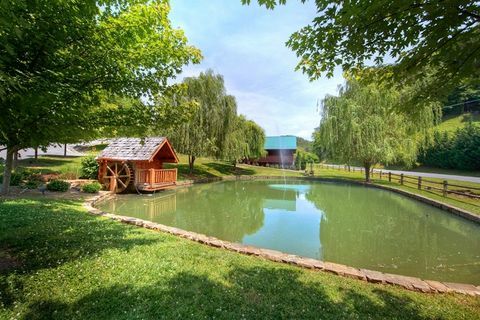 "Hideaway Heart", a romantic, charming 1-bedroom cabin rental near Gatlinburg, provides you and your guests with modern conveniences and a relaxing Smoky Mountains resort cabin setting convenient to the area's biggest attractions such as Dollywood, Dollywood Splash Country, The Island, and more!. 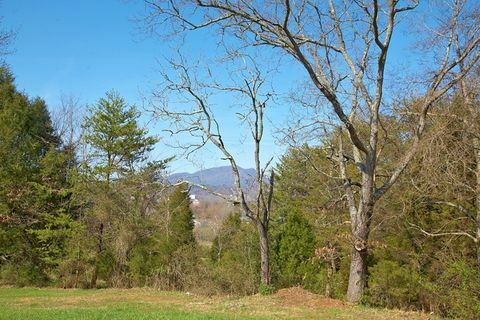 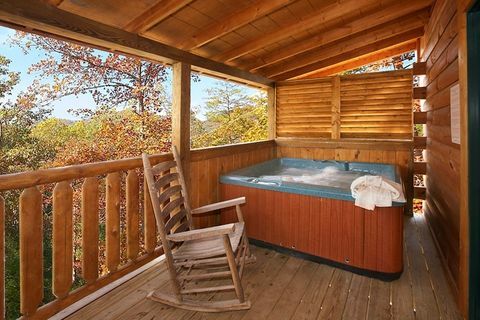 There's plenty of spaces to enjoy the Great Smoky Mountains at your cabin retreat as well. 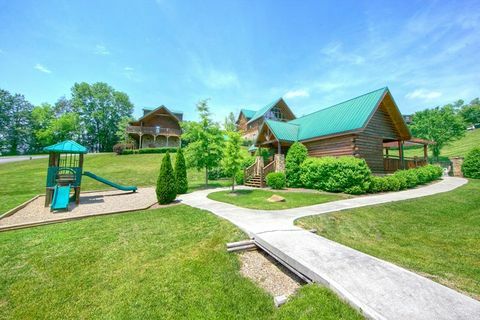 This cabin rental allows guests to enjoy endless fun and relaxation by the resort swimming pool. 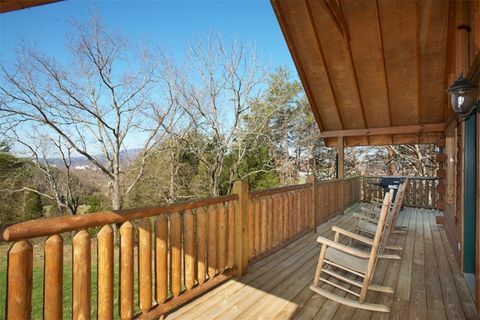 You can also enjoy the mountain air while relaxing in a rocking chair in the summer. 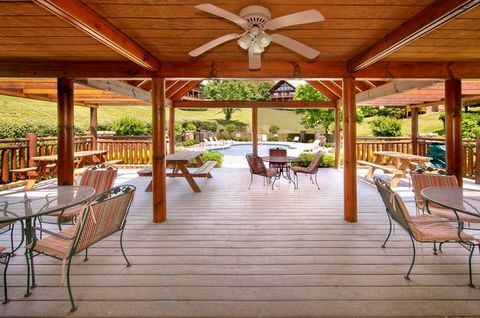 The large hot tub on the covered deck provides everyone with year-round outdoors enjoyment. 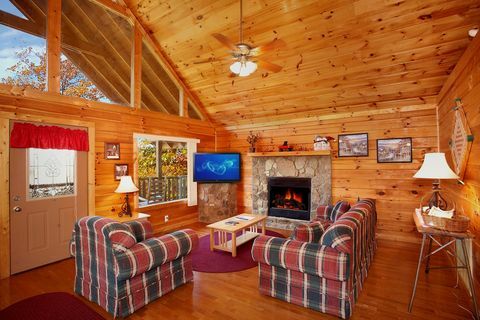 Inside the cabin, you can enjoy a warm, welcoming interior complete with a gas log fireplace in the living room that invites you to cuddle up. 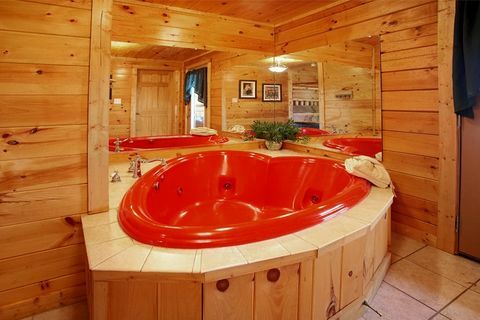 The king bedroom features a heart-shaped jacuzzi surrounded by mirrors for a romantic touch. 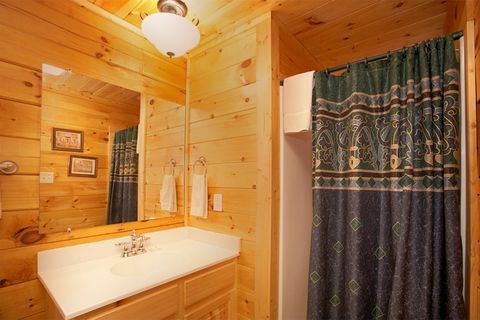 There are also practical features at your cabin. 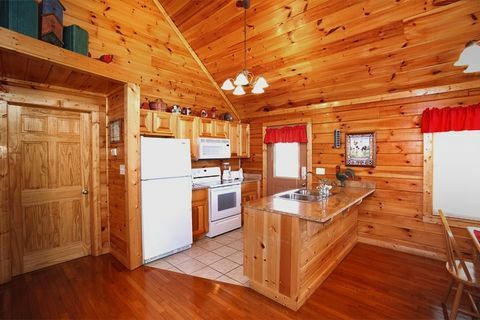 The well-equipped kitchen allows your inner chef to cook homemade meals from the convenience of your 1-bedroom cabin rental for romantic meals in. 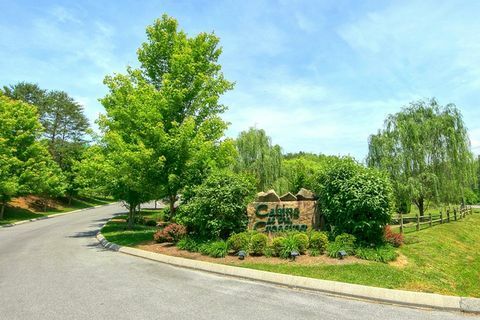 A washer/dryer is also provided for guests as an additional convenience. 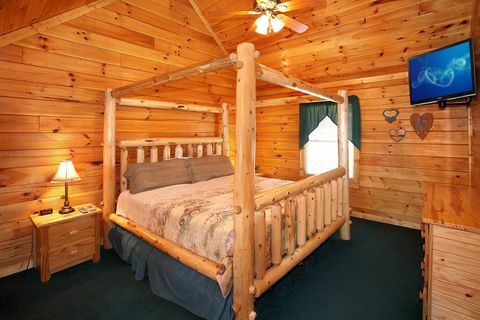 You can also enjoy wireless internet at your cabin as well. This 1-bedroom cabin's close proximity to area activities allows you to enjoy a serene mountain setting while still enjoy a quick drive to the fun and adventure nearby. 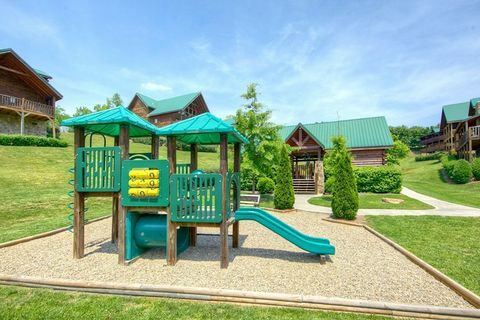 In addition to its suburb location, Cabins At The Crossing Resort's well-manicured cabin rental community provides wide paved streets and ample parking. 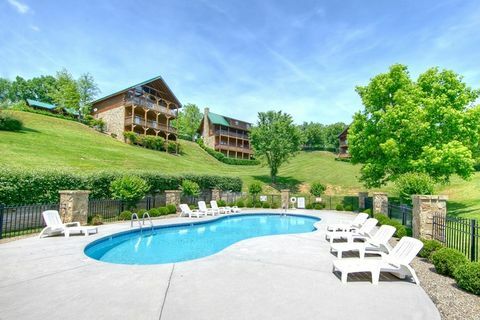 Make "Hideaway Heart" your Smoky Mountains vacation destination for years to come! 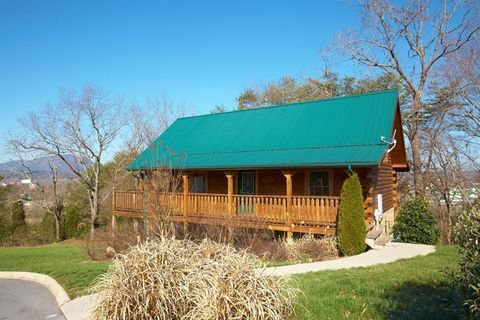 Book this beautiful 1-bedroom cabin near Gatlinburg with swimming pool access ONLINE for your immediate Online Cabin Rental Discount!